We offer online programs in business, engineering, nursing, law & legal studies and more, you will find the path to your career goals. Online programs at Manhattan Bay are affordable and flexible for all. 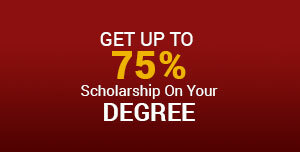 Students can transfer their credits and also avail Scholarship upto 75%. Manhattan Bay University offers Accredited Online Programs that are according to the Industry needs and are accepted by top multinational companies from all around the world. Our global Alumni Network works for various sectors such as marketing, Manufacturing, Construction Information Technology, Engineering, Public Relations and so on. 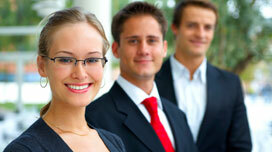 Manhattan Bay's top notch faculty is here to impart knowledge for better prospects among working adults & students. At Manhattan Bay students can Interact with the experienced faculty that can help out students with their industry experience. Now you can fulfill your dream & study at top online university without incurring any debts. Apply for Scholarships or Reduced tuition for your degree program at Manhattan Bay. Manhattan Bay University Gets two thousand seven hundred, and sixty nine Students Enrolled in its Online MBA Program. Manhattan Bay University Conducts a Seminar on E-Learning, and Ground-Breaking Educational Methods. Manhattan Bay University's online commencement ceremony distinguishes three hundred plus graduates. At Manhattan Bay University , we are the best in providing education all over the globe. Our policies and systems are dedicated towards continuous improvement of education system. Our vision is to ensure that online education is easily accessible by all students and working adults. Our strength lies in our faculty, management and hardworking students. She is the Head of Department for chemistry and she looks after all academic operations related to her department. Shella believes in creating a learning environment. Susan oversees the English department at Manhattan Bay University. She has a teaching experience of more than 10 years. Prior to joining Manhattan Bay University she had been working for various universities and currently she is also a visiting faculty at renowned universities. Ryan is a multi sided genius and he has been teaching at Manhattan Bay University for more than a decade. Ryan teaches mathematics, statistics, calculus and other subjects related to mathematic field. Before teaching at Manhattan Bay University Matt worked as senior manager (Artificial Intelligence) at an international organization furthermore, he is currently looking after the information technology department of Manhattan Bay University. Nellie is one the most talented faculty present at Manhattan Bay University. 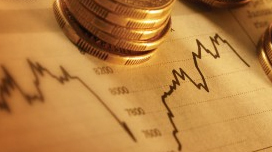 Nellie has immense experience in the field of economics. She has been working for various national and international organizations. At Manhattan Bay University , you can choose from the diverse and up to date majors and programs through our sixteen disciplines.